Child prodigy who came under the influence of Franz Liszt and Johannes Brahms at a young age. He was known for his contrapuntally complex pieces. He studied with composer Wilhelm Mayer in Graz and Carl Reinecke in Leipzig. He held to the philosophy, "Music was born free; and to win freedom is its destiny," which had an impact on his students, including future 20th-century innovators Percy Grainger and Edgard Varèse. He was born into a musical family: his father Ferdinando was a clarinetist, and his mother Anna was a pianist. His composition Concert Piece for Piano and Orchestra, Op. 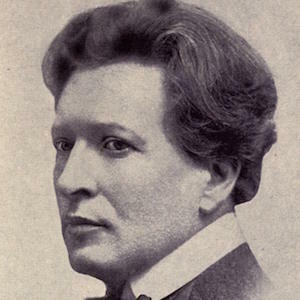 31a, won him the 1890 Anton Rubinstein Competition.